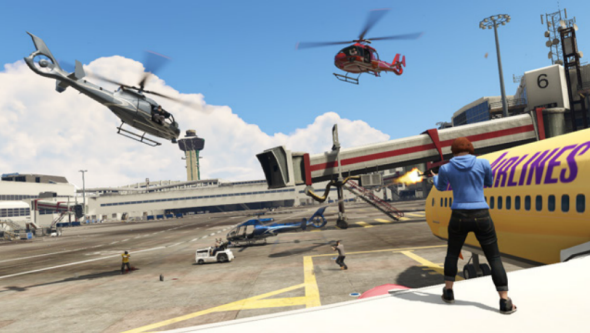 As we promised last week, we are hasten to tell you the fresh Rockstar’s advises how to create your own missions in the new Capture Creator, which was released as fresh GTA Online update last week. First of all, let us remind you that Capture Creator is available in 4 variants - GTA, Contend, Raid and Hold, - and now we are going to describe each of them briefly. Thus, the main goal in GTA is a steal of as much vehicles as possible, which can be placed at any point of the map for a certain period of time. In Content variant the teams will have to compete for the objects (one or more), which will have to be delivered to your base after what they appear somewhere on the map and the whole process repeats again. In Raid your team will have to find the way to the opponent’s base, steal there as much objects as you can and then deliver them to your territory. The one, who will reach the target score or get the maximum number of objects (more than its opponent), will be considered as a winner. And finally, in Hold variant you will have to find or steal differents items, which are placed somewhere on the map or on your foes’ territory. Reach the target score or get more packets than your opponent to become the winner. 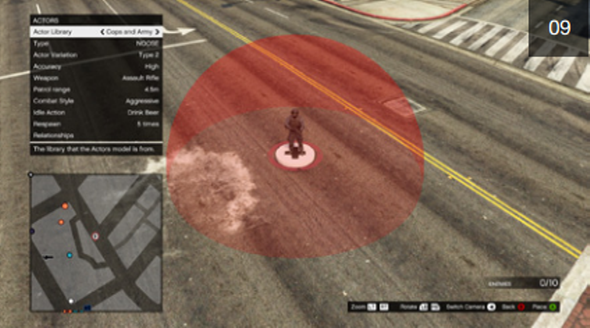 Besides these points, there are some less necessary such as the addition of the search tags (for easier jobs’ search in Rockstar Games Social Club), the team settings (here you can adjust the number of players), the time limits and the ambient settings (the time of day, the weather, the density of traffic, the radio). 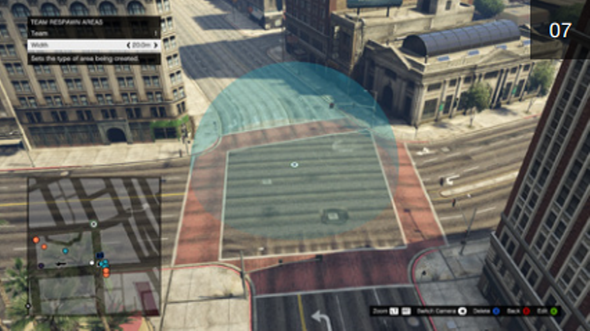 But it’s only the beginning, further there are more GTA Online tips concerning this creator. The next important points in the creation of your own job in Capture Creator are the location of your mission, the place of the trigger (where the players gather) and the placement of the team start points. Each of these details is very important, so be attentive while you are setting them. For example, the trigger location should be placed in an empty, flat surface with a good clearance. As for the team start points, it’s better to choose the places which aren’t far from each other and that will give the equal chances to win. The next item is the settings of your base and vehicles (up to 20 units). Please note that depending on Capture Creator variant, in which your mission has been being created, the bases and the vehicles requirements are different. Also do not forget to place the respawns areas. Choose the locations with a small locations with a good cover. The weapons, the explosives and the ammo follow. Place the most powerful weapon in the weak points of your territory and use the explosives if the vehicles are needed in the mission. Also in the Capture Creator you will be able to set different Actors - the players’ roles, depending on which they will have their own combat styles, will be able to move freely around the map, to patrol the territory or perform other tasks assigned to them. 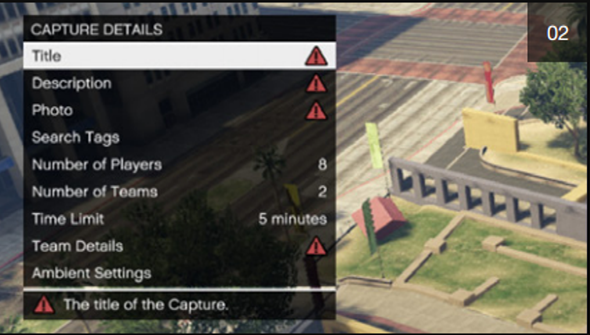 And the last thing in today's GTA Online tips is a reminder that each your mission, job or race require a mandatory test. Check out all the settings, make the necessary corrections, play a round with your friends and, if everything is working correctly, save your job and publish it on the Rockstar Games Social Club. 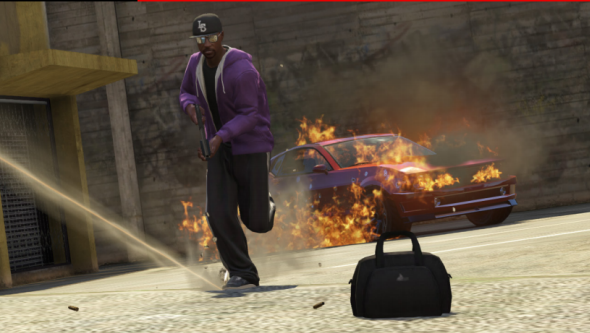 What do you think about these GTA Online tips? Did you like this fresh Grand Theft Auto Online update? We’ll be glad to see your answers at the bottom of the page.